Enabling Dark menu and Dock mode on the Mac is a subtle user interface change to make which allows both the menu bar and the Mac OS X Dock to appear as black backgrounds with white text or icons overlaid on top. The result is a higher contrast menu bar and Dock, which is also a little less intrusive visually than the default light grey menu bar and Dock, and the dark menu and dark Dock will appeal to some users for a variety of reasons. Enabling (or disabling) Dark Mode is really easy in Mac OS X, and this will impact how the Dock appears, all menu bars, menu bar items, and menu bar dropdowns, as well as the appearance of Spotlight on the Mac. 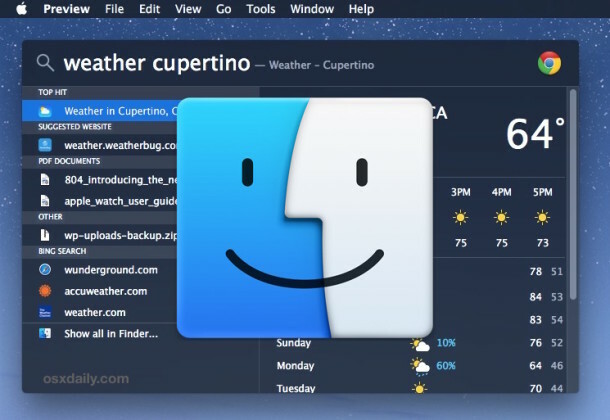 You’ll instantly see the change in the menu bar at the top of the screen. Some users may find the light text to be challenging with transparency, so disabling that or enabling Increased Interface Contrast can remedy that. And the default light mode also offers a much brighter Dock on the Mac. Though most users will likely want to keep the setting enabled or disabled, if you switch things up often you can use a keyboard shortcut to toggle Dark Mode off and on at any point from anywhere in OS X too. The Dark Mode feature is only available in OS X 10.10 and later, including OS X El Capitan. Perhaps it will expand in future versions to encompass more user interface elements including windows, titlebars, much like exists in the Photos app editing UI, but for the time being, it’s limited to the menu, dock, and Spotlight. Use this all the time, really like it. Reminds me of the Unsanity Haxies of the Tiger days. I have this enabled because it improves the UI in the glaringly bright OS X quite a bit, but I wish it carried through to windows and other elements as well. When you’re in Photos app or some Adobe apps and editing images, the entire UI is dark grey and black, THAT is dark mode. Apple needs to have THAT true dark mode with windows and buttons and all as an option system wide. Agree. What IS it with Apple and using only varying degrees of gray. Everything looks washed out and dull. A little color never killed anyone. Remember when Apple used to use color? I’d like to use it, but those boxes don’t appear with OS X ML. I wish I could toggle my girlfriends Dark Mode on and off so easily! Be aware. Enabling dark mode can cause problems with videos in full screen. Dock and menu bar tend to pop up and stay. Unless Apple fixed it. Enabling Dark Mode really improves the look of the menu bar and Dock when Reduce Translucency is also enabled. If you want a more complete “Dark mode”, you might want to try VoiceOver’s “Invert Colors” mode (System Preferences/Accessibilty/Display/Invert Colors). But be aware that e.g. videos played back will also have their colors reversed. Utility called f.lux, that adjusts display color based on current daylight, has option to switch to dark UI mode automatically. I find that pretty handy. F.lux allows you to automate the switch. You can use the normal grey mode during the day, and it’ll switch to dark mode as it dims and reddens the screen at night. A trouble with dark mode is that, when using cmd-tab to move through the open apps, it is quite hard to see which app is selected, since Apple still surrounds its icon with dark gray. Now, that’s stupid. Love Dark Mode… reminds me of Kaleidoscope back in the day. I enabled the dark mode but it switches off after some time. 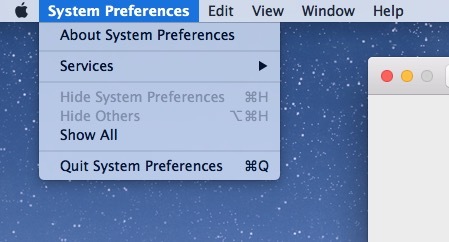 I would need to go in system preference again and check the box again. Is this normal or is there something that resets this automatically? Haven’t figured out why – can anybody help? This isn’t as useful as similar functionality on Linux and Windows. Apps still have white windows, which are absolutely intolerable in the dark. The only thing that fixes that is “Invert colors”, but that ruins images. MacOS is truly a “worse is better” system. To Apple, simplicity of design is always more important than correctness.